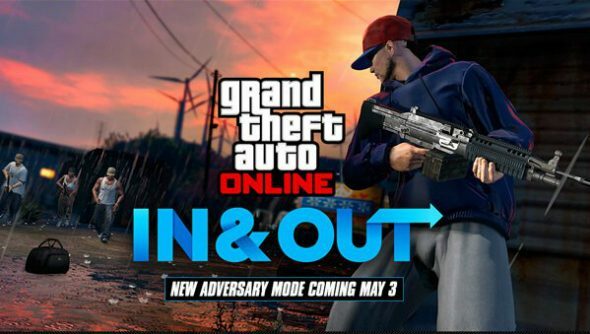 The new adversary mode for GTA Online In & Out launches May 3 and to celebrate there’ll be double GTA$ and RP in specific playlists all week. Looking for some more room to blow everything up in? Here are the best sandbox games on PC. The new mode will pit attackers against defenders in one of three arenas, where the attackers must steal eight packages while the heavily-armed defenders attempt to keep control of them. In addition, you can get discounts on a variety of ammo and weapons from your friendly Ammunation clerks, with 20% off grenades and sticky bombs, 25% off assault rifle mods and the combat MG, and 50% off SMG ammo.